It’s the most wonderful season once more. As the temperatures drop, Santa Claus is still watching as you look for ways to show your care for the environment. While this season is notorious for consumption, it can be your perfect time to solidify a recycling plan to last you for the rest of the year. You’re not typically what someone would consider a “selfish” person. In fact, you dedicate your time year round to giving back. 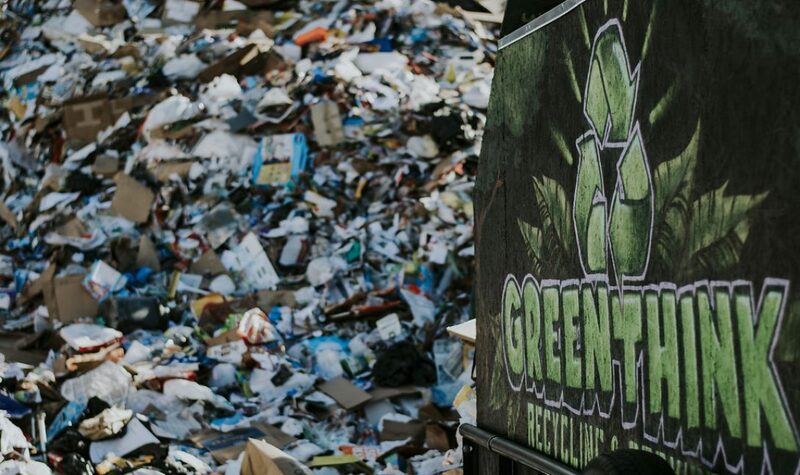 A waste management program shouldn’t have to be a burden on your already hefty schedule. But this is the perfect time for some self-evaluation. The average home actually holds 300,000 items—and these homes have doubled in size over the past 50 years, meaning there’s room for more. Instead of asking for items that will harm the environment through production, take the time to give. Boil down what you own to the bare minimums. If you can’t remember when you last used it, it’s not important enough to take up space. Then comes the actual waste during the holidays. On an average day, an American produces a full three pounds of waste. However, over the holiday season (between Thanksgiving and New Years) the average family waste increases by 25 percent. That’s 1 million extra tons of waste. The numbers are overwhelming, and you may soon ask yourself, “What can one family do?” But by improving your consumption and recycling habits, you will do your part and teach your loved ones to live better regularly. When picking gifts, why waste money on an item? Time spent together is the best gift you can give a family member. That way, the item you got them doesn’t end up in a landfill at some point. Schedule a horseback ride, get a gift card or even plan a getaway together. If you want to share a gift, look for something made locally. This reduces transportation costs and the carbon footprint left behind by production costs. Even better, choose a gift that was made from materials that were made as a result of someone else’s recycling. On Christmas morning, wrapping paper gets overwhelming. Instead of filling your recycling bin with glossy foil or metallic paper, choose an eco-friendly paper. And if you want the gift to be that much more heartfelt, wrap it in a scarf or a handkerchief. Take time before the holiday to clean your home as a family. Pull out all old electronics, clothing, even decorations that don’t belong in the garbage. Simple waste management tactics like these will cut down on your family’s waste in this most gluttonous time of the year. Finally, the most important part of the holidays is the memories you make. This year, make an effort to start an Earth friendly tradition. Sure, you won’t be able to talk all of your in-laws into a new waste management program (at least not yet). But a peaceful nature hike on Christmas morning could be their kind of ritual. If you can, plant a tree to make up for the ones cut down for the holiday season. If all you want for Christmas is a green season, these simple recycling tips can be the perfect ideas to carry with you throughout the New Year. Previous Post Recycling costs money.. For now.